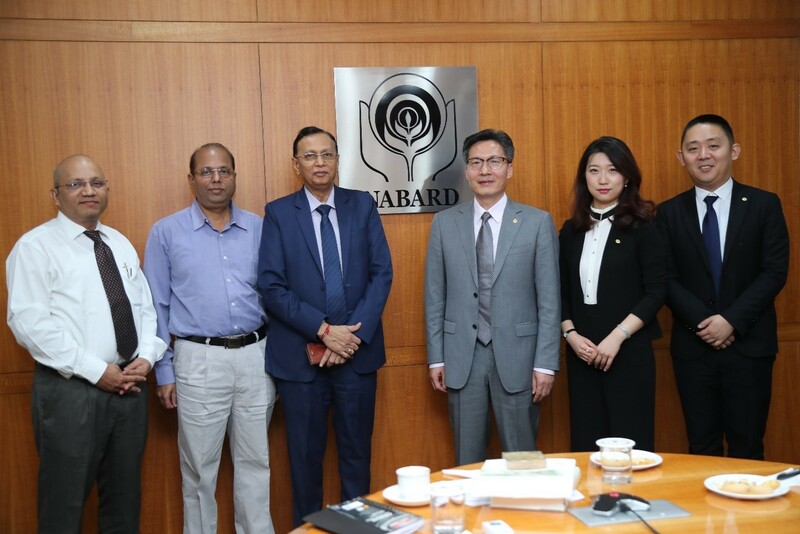 A team of three officers from the Institute of Rural Finance and Development (IRFD), Agricultural Development Bank of China, are visiting NABARD from 14-22 January 2019 to study the experiences of NABARD in agricultural finance and to understand the systems for agricultural and rural finance in India. The delegation proposes to undertake in-depth study of NABARD which will include organisational structure, business operations, risk management, government relationships, government support/subsidies, etc. DMD(HRD) and senior officers from CPD, FSPD, FSDD, MCID, OFDD and NABCONS met with a delegation from the Agricultural Development Bank of China. The delegation visit to NABARD and related institutions will play a key role in development of collaborations with ADBC/IRFD. DMD welcomed the Delegation and briefly interacted with the delegation. 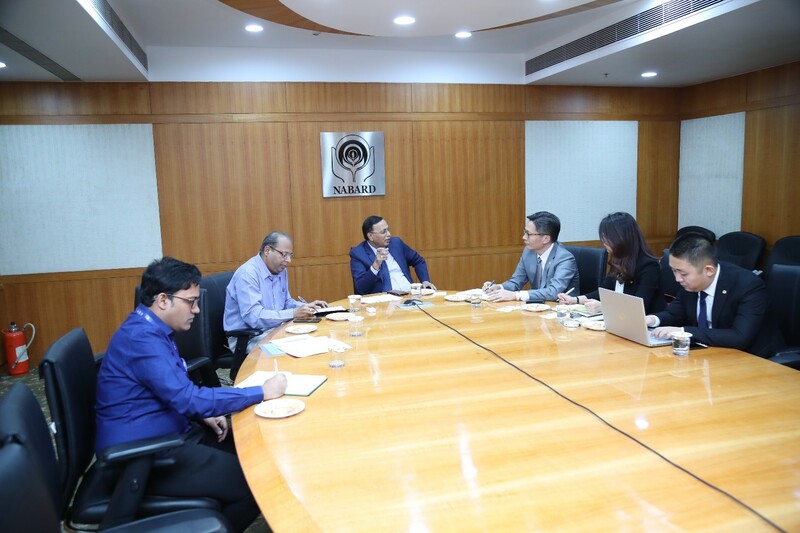 DMD briefed the delegation members about the broad functions of NABARD and how NABARD as the development bank of the nation has been addressing the inadequacies in the rural markets and the rural ecosystem. DMD also explained to the delegation about how NABARD assesses the credit, project resource potential districtwise and use the refinance as an instrument to direct credit to various sectors of the agricultural and rural economy. NABARD has also been prioritising the rural infrastructure development by lending to the provincial governments. 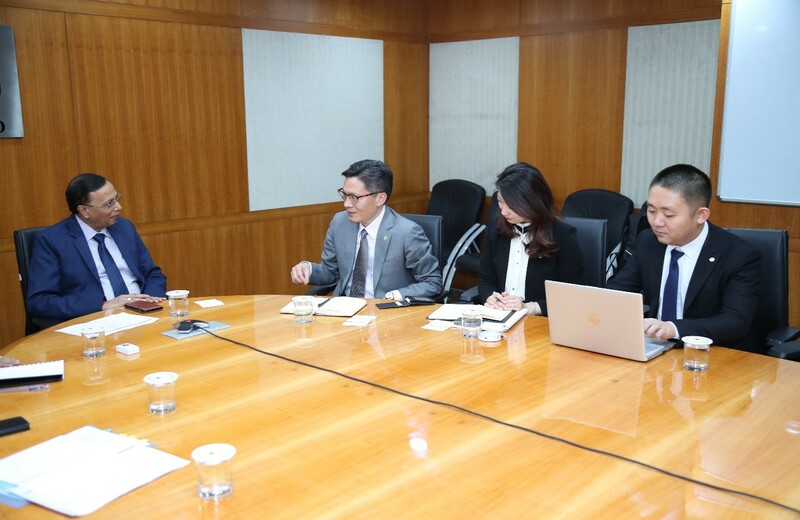 DMD also briefed the delegation about our experiences in Supervision of Rural Cooperative Banks and Regional Rural Banks, Institutional Development and Institution building, Research and Development in Agriculrural and Rural finance and NABARD’s leadership role in Climate finance in the country. DMD further articulated about how a knowledge driven organisation like NABARD can envision on behalf of various sectors of the rural economy and catalyse action and direct resources to the sectors that need them most.